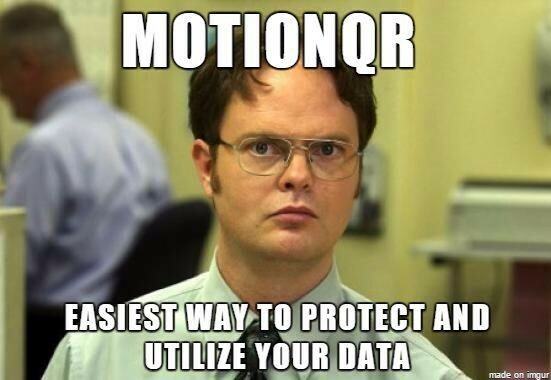 With the advancement and increment in the frequency of cyber-attacks, it is very vital to keep your computer safe and protected. Mac is claimed to be less prone to virus and malware but with grown popularity, hackers now target Mac as well. So, installing malware removal program on your Mac is a necessary step. In this post, we’re going to discuss how to eliminate malware from your Mac by using the malware cleaner for Mac. How to Eliminate Malware using Systweak Anti-Malware? 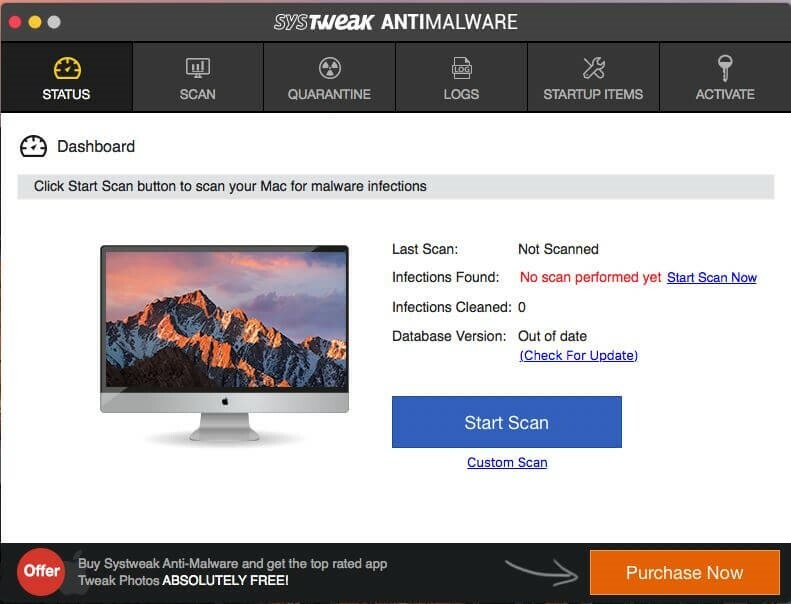 Systweak Anti-Malware is one of the best malware removal programs that not only help you to provide mac malware protection but also effective for enhancing the speed of your machine. This software is a fast and powerful tool that helps you to protect your Mac from various kinds of threats like malware and virus. It’s malware definitions are also constantly updated to ensure that not even the latest strains of Mac virus can bypass your security. Systweak Anti-Malware will give you multi-layer security to make sure your Mac stays safe and secure. How to Use Systweak Anti-Malware? Step 1: Download and install the Systweak Anti-Malware. Step 2: Double-click on the name of the program to launch it. Step 3: Click on “Scan Now” button to start the scan. Note: Upon clicking ‘Start Scan’, the software will automatically perform a Quick Scan, but if you want to go with in-depth scanning then you can change the scan type by hitting Custom Scan tab and then choose Deep Scan. Well, Deep Scan is recommended to ensure all areas on your Mac are checked for infections. Step 4: Once the scan is complete, you will see all threats displayed in the same window. Step 5: Now, you need to click on the “Fix Now” button to remove malware from Mac. Step 6: And that’s all. First and foremost, which you can do is to troubleshoot your Mac is to run a system software update. Because when you’re running your machine on outdated version then you might issue related to the performance of the computer. Moreover, updating your computer is one of the easiest and simplest way to fix minor bugs and issues automatically. Step 1: Go to Apple icon, you can navigate the icon at the top-left corner of the screen. Step 2: Choose the App Store to access the Mac App Store from the available drop-down list. 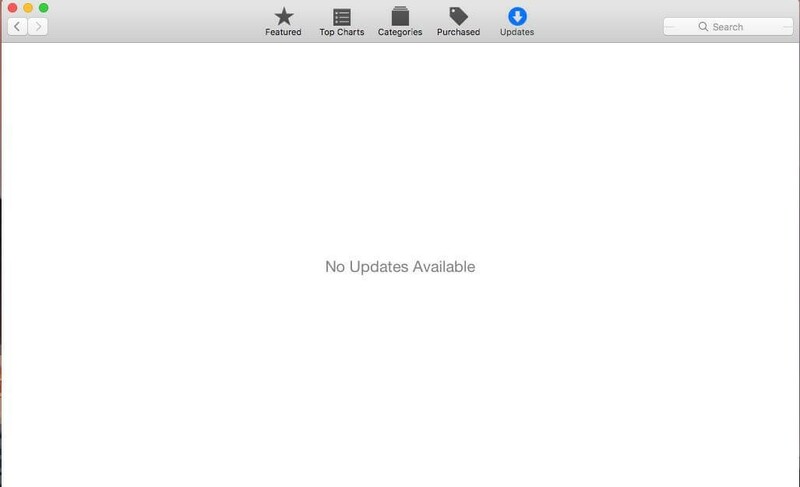 Step 3: Hit the Updates tab from the upper Mac App Store window. Step 4: Install the latest update. Now, you will be prompted to enter your Apple ID and password to install the update as an admin. How to Automatically Download New Updates? If you’re using macOS Sierra or later version, then you can avoid the pain of manually downloading new updates. All, you need to do is enable Automatic Install in System Preferences which is going to help you to automatically download new updates in the background & install them overnight, so you don’t need to compromise on your routine. 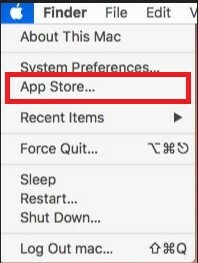 Step 1: You need to open Mac App Store and then go the App Store from the top left corner of the Menu bar. Step 3: Now, you will notice Automatically check for updates, where you need check all the following boxes. Step 1: Firstly, you need to restart your machine. Step 2: While restarting your machine, you need to hold -down Command + R till the time your computer is not completely awake. Step 3: Once the reboot process is completed, you will notice you’re in Internet Recovery Partition, where you need to choose Disk Utility. Step 5: Now, you need to click on First-aid button in the Disk Utility window. Step 6: Choose Run to implement the recently made changes. Step 7: Now, you will see there is a progress bar checking on its hard drive to verify whether you’ve errors or not. 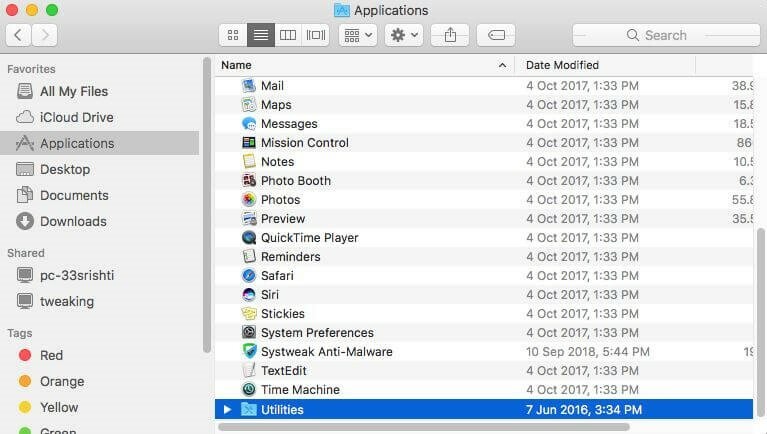 You can also directly access the Disk Utility app which is default app of Mac. You can run disk utility scan by access the app. Step 3: Select Utilities and then click on Disk Utility. Step 4: Click on First Aid and run the scan. Now, you have successfully learned how to eliminate malware from your Mac and boost your productivity of your Mac. 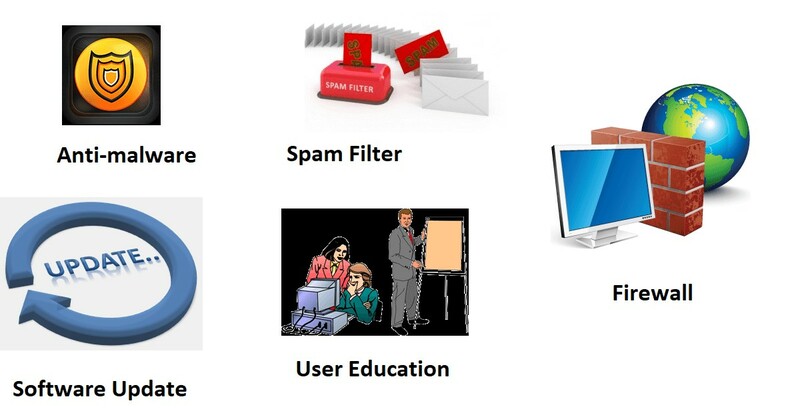 You can use any malware removal programs of your choice to remove malware from Mac with ease. We’ve used Systweak Anti-Malware software as it is the easiest and simplest way to get rid of malware on Mac. If you face any issues during the process, then please drop a message in the comments below.